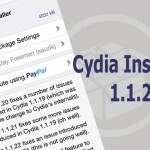 Cydia installer 1.1.16 with bug fixes on iOS 8 released. 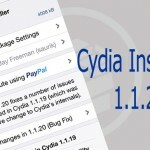 Home › Cydia installer › Cydia installer 1.1.16 with bug fixes on iOS 8 released..
Cydia installer 1.1.16 with bug fixes on iOS 8 released.. These days are very busy to Apple iOS device. 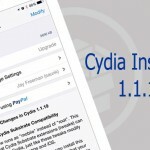 Because; each & every day, someone (Saurik, Pangu Team or Apple) releases updates for their products as Cydia, Pangu and iOS 8 (Apple also has released iOS 8.1.1 beta now). This is also big update release on Cydia by the developer Saurik & it has fixed major bug regarding “Restore from Backup” feature in iTunes. Before this release, you had to reinstall Cydia, after your first use of it, if you used “Restore from Backup” feature in iTunes. Fortunately with this latest Cydia 1.1.16 update, it is no longer required reinstall Cydia after the used of that feature of iTunes. That’s mean, you can use “Restore from Backup” feature freely without thinking about the Cydia. Now it OK! Cydia is still here ..
Be happy & wait for an another update..
Where do I download Cydia for my iPhone 6?